Preventive care is the easiest way to keep your oral health in excellent condition. At Astoria Dental Group in Queens, we have a comprehensive range of general dentistry services designed to meet the dental care needs of your entire family. Learn more by scheduling an appointment with us today. Cosmetic Dentist Dr. Clifford Degel has been practicing cosmetic dentistry at the Astoria Dental Group since 1990. 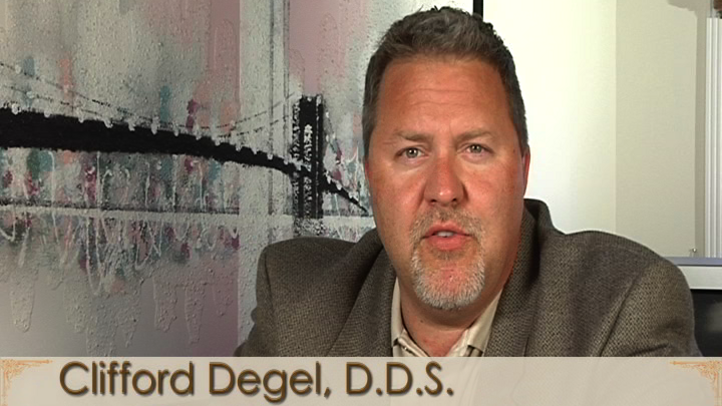 In this clip, Dr. Degel talks about his background and his love for dentistry. Dr. Degel loves positively changing lives through cosmetic and restorative dentistry. General, preventative dentistry should start early. A child’s first dental visit should take place at 6 to 12 months after birth. Regular fluoride treatments, administered by a dentist, are especially helpful in strengthening enamel and arresting tooth decay for children. Contact our general dentistry practice in Astoria today to schedule an appointment for your child. Dental sealants are quickly applied at Astoria Dental Group. One of our dentists prepares the chewing surfaces of teeth, then paints on the sealant. The sealant material bonds directly to the tooth and hardens with the aid of a special curing light. Dental sealants hold up well under the force of chewing, and they provide protection against cavities for about five years. During regular dental visits, one of our dentists will check the state of sealants and re-apply them if necessary. Sedation (sleep) dentistry involves the use of sedative drugs so that patients who fear dental work can avoid the discomfort and anxiety associated with dental visits. With sedation dentistry, patients take a pill about an hour before their dental appointment. They arrive at our office relaxed and able to undergo treatment without feeling any pain or having any memory of the procedure. If you have avoided getting dental care because of anxiety or fear of discomfort, sedation dentistry may be the ideal solution to allow you to get essential treatment. Our doctors have years of experience helping patients easily and painlessly achieve healthy, beautiful smiles. Reach out to us today to learn more about our general dentistry services and to schedule a consultation.